The 3 Sprouts organic storage caddy is an adorable organic organizational solution for any nursery, child’s bathroom or playroom, which comes in three cute designs to choose from. 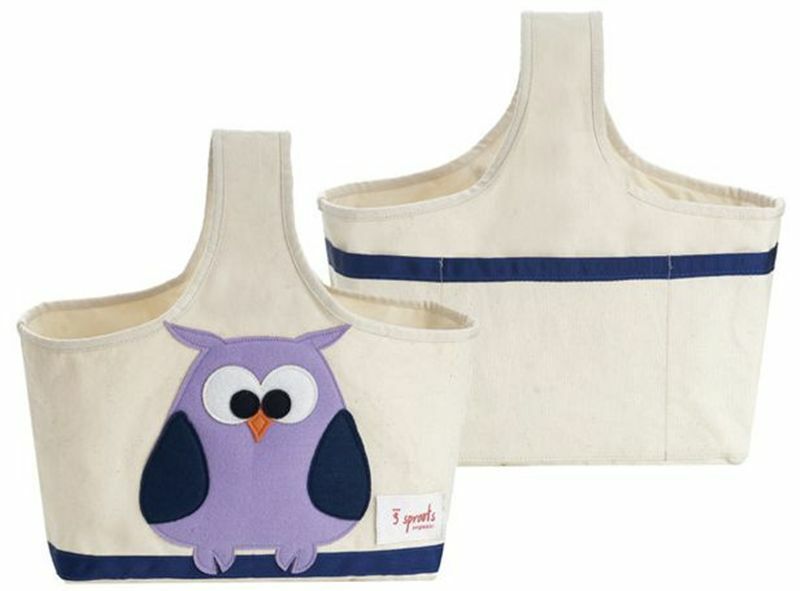 When your tot is a baby you can use this handy caddy to store diapers, creams and other baby goodies. Later, the caddy is sturdy enough to store some toys or an older child’s accessories, such as hairbrushes and barrettes or art supplies. The caddy’s exterior is made with organic canvas and the cute applique is made with 100% ecospun felt (ecospun is made from recycled plastic bottles). Plus this caddy is a snap to clean; just wipe it down with a damp cloth.